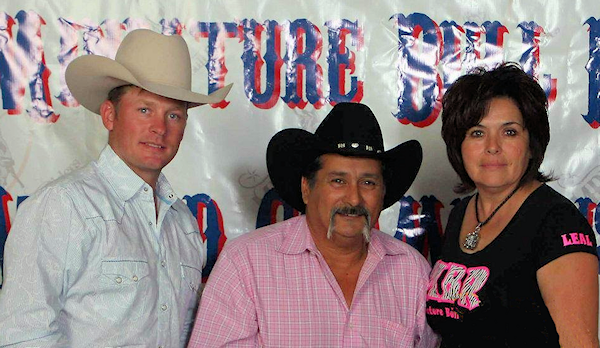 In 2010, Lillie and Cirildo Leal of Lockney, TX started on a path that, unbeknownst to them, would change their lives forever. The Leal’s started a mini bull stock contracting business, supplying mini bulls to local rodeos. This contracting business went from a vision, to reality. Miniature Bull Riders started with a few riders in local rodeos. That first season culminated with the championships in Ogden, UT. Now known as The MBR, this “vision” grew faster than anyone anticipated. The MBR features junior riders ages 8-11 and senior riders ages 12-14. MBR soon caught the attention of 2-time PBR World Champion, Chris Shivers. Chris came on board and became a partner in the Leal’s vision. This organization not only promotes the sport of youth bull riding, but promotes the core values that parents strive to instill in their children. Values such as self confidence, respect, and most importantly…SPORTSMANSHIP!!! By 2012, The MBR had grown to over 50 riders from all over the United States! 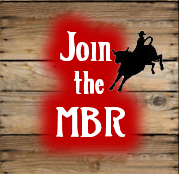 MBR is dedicated to bringing audiences the best youth mini-bull riding the country has to offer. In 2012, the MBR held it’s World Championships in conjunction with the PBR World Championships at the Mandalay Bay Hotel and Casino in Las Vegas, NV. This would prove to be a partnership that would continue into 2013. The MBR was featured at the Dallas Cowboys Stadium for the PBR Dickies Iron Cowboy Event. The MBR will again be at the Mandalay Bay Hotel and Casino in Las Vegas, NV for their World Championships in 2013. Each performance shows the improvement and progress of not only the riders, but the organization as a whole. 2014 promises to bring even more show-stopping events, featuring the toughest little cowboys on the planet.